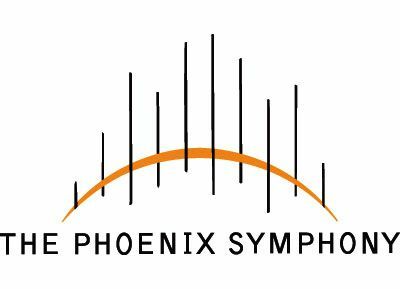 The Phoenix Symphony has been proudly serving the citizens of the Phoenix metropolitan area and Arizona since 1947. What began as an occasional group of musicians performing a handful of concerts each year (in a city of fewer than 100,000 people) today serves more than 300,000 people annually, with almost 200 concerts and presentations throughout the greater Phoenix area and beyond. The Phoenix Symphony presents an annual season from September through the beginning of June, featuring full-length classical and pops concerts at Symphony Hall in downtown Phoenix, as well as concerts in Scottsdale, Mesa, Prescott and throughout central Arizona. The Symphony performs for more than 65,000 students and children, helping to introduce music to new generations through a variety of education and youth-engagement programs. As Arizona's only full-time, professional orchestra, The Phoenix Symphony operates on an annual budget of more than $8.5 million, of which ticket revenues cover approximately 50%. Remaining funds are provided through the generosity and vision of thousands of individuals, corporations, and foundations. The Symphony also receives important support through public funding provided from the area's citizens via the Arizona Commission on the Arts, National Endowment for the Arts, Phoenix Office of Arts & Culture, and other governmental departments. The Phoenix Symphony offers a wide variety of programming each year — including regular series of Classics, Symphony Pops, Chamber Orchestra, and Family offerings, as well as special community presentations celebrating various holidays and area events. A strong and collaborative program of education and youth engagement activities includes concerts presented downtown for school children alongside smaller presentations performed at schools and for neighborhood groups throughout the Valley. A strong corps of over 500 volunteers helps support the Symphony each year, including the Friends Giftshop and the annual Symphony Gala.